Visit the Emerald Grotto by walking in Amalfi coast. Unique excursion, completely immersed in the lifestyle of the Amalfi Coast. Walking from the mountain to the sea and ending in Amalfi by boat trip. 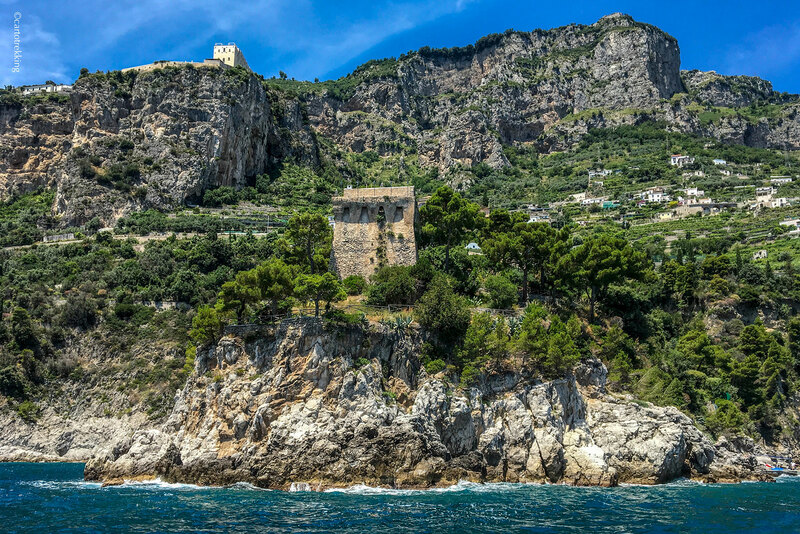 Discover the ral life of the Amalfi coast, walking along ancient alleys e visiting the Emerald Grotto. 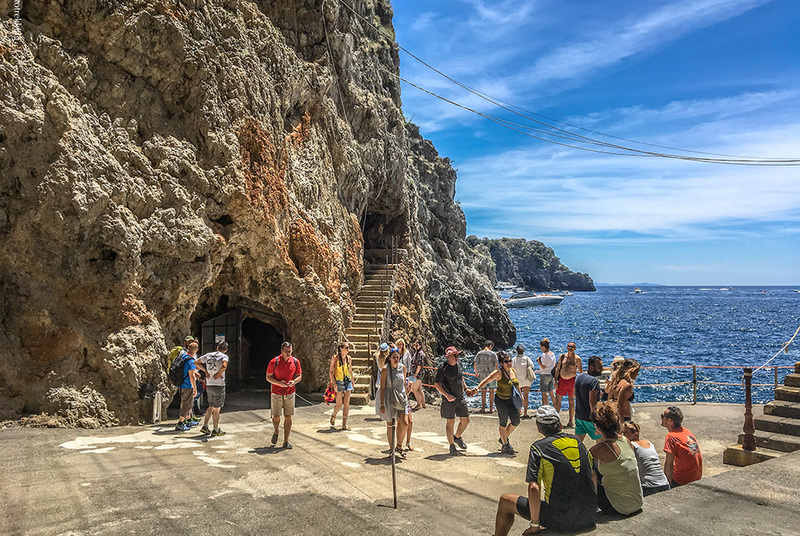 This excursion on the Amalfi Coast is an exclusive of Cartotrekking and offers the spectacular opportunity for walks and boat rides on the same day and, perhaps, also to visit the evocative Grotta dello Smeraldo. Book our private guide and you will have the special opportunity to take a hiking trail that is still unknown to many, completely immersed in the rural life of the coastal villages. Starting from the village of Agerola 600 meters above sea level, you will descend down the ancient steps of the Amalfi Republic through the village of Conca dei Marini. 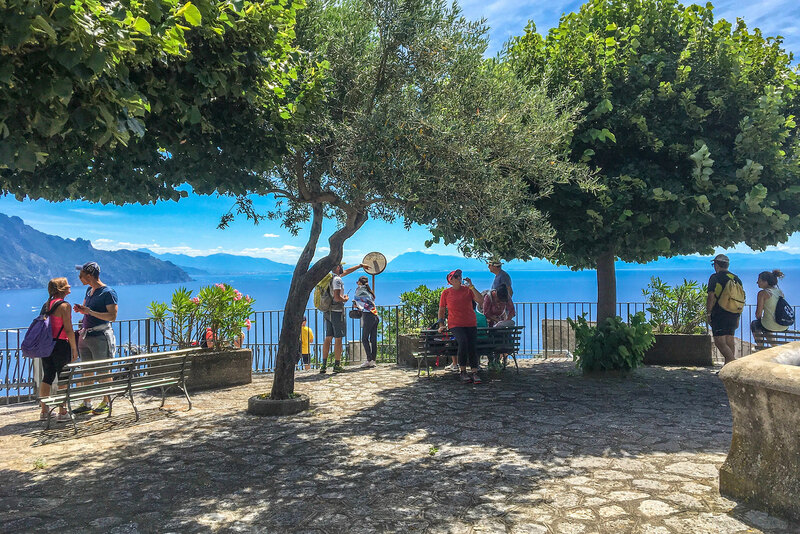 This walk is characteristic because it allows you to visit the ancient Monastery of Santa Rosa, along the terraces of the Amalfi Coast, then ending up on a small beach where a sailor village with its excellent seafood restaurants wait for you to take part in the catch of the day . 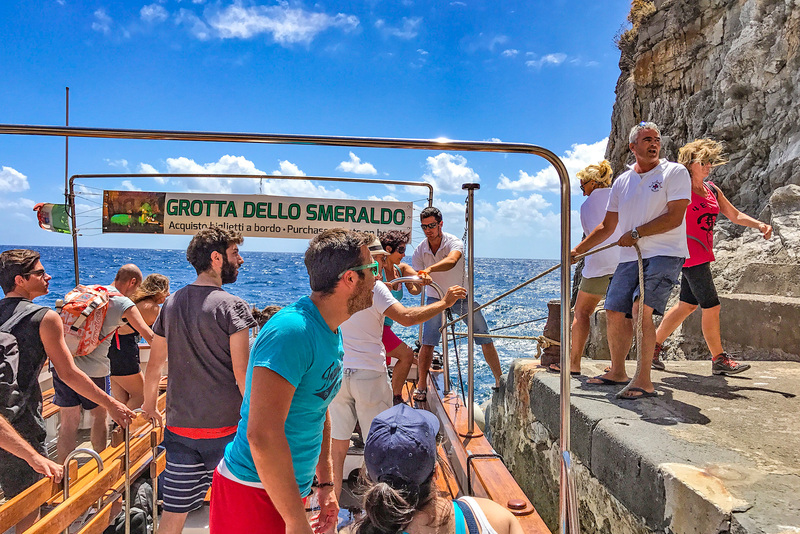 Once arrived at the beach, the tour continues with a private boat ride, from the beach to the Grotta dello Smeraldo; after having visited this evocative place then, you always continue by boat to arrive then in Amalfi. walk along very ancient historic stairways. Choose an easy hike doeable by everyone! Walk all the time with a steep sea view! Some pictures taken walking along this amazing trail of the Amalfi Coast, fromAgerola to conca dei Marini, accrossing ancient monastries and rural landscapes. Before to start your hike, or decide to order/buy a full map of the walk, here you can download a single map of the trail from Agerola to Conca dei Marini. If you don't need guide or map to visit Conca dei MArini and Amalfi Coast, so you can easy upload and follow a track on your smartphone, rembemer to using it only under your responsibility!